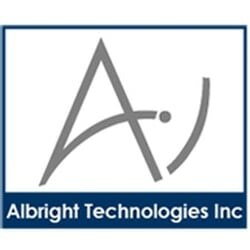 Albright Technologies produces custom silicone prototypes and provides volume production. They supply silicone components and products for Medical, Pharmaceutical, Industrial, Consumer and Military/Aerospace applications. They have extensive silicone experience and can help with silicone material selection, component design, mold design, design for manufacturing and scalable molding methods. 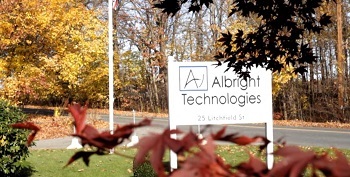 Albright's team has over 100 years of combined silicone material and molding experience. Their team includes four degreed engineers and each of their team members is trained to their ISO 13485 certified Quality System and to their graded, in-house technical training program. Use the best fit of compression, transfer or injection processes for your product.